Pinto beans are a great source of fiber and amino acids. 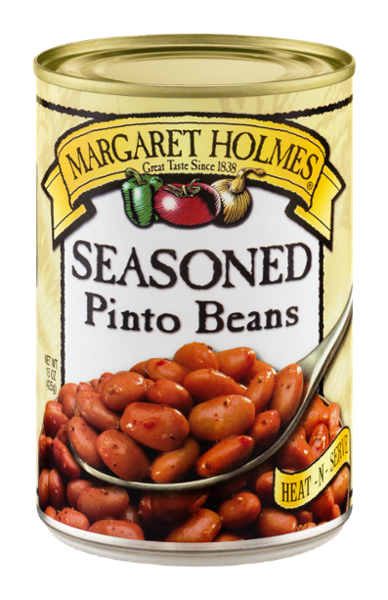 Our delicious Seasoned Pinto Beans are slow-simmered with our unique blend of down-home Southern spices to create a true delicacy. Just heat and serve!